What are the 3 things that will stop Kratom Ban? The major reason why the Kratom vendors should be monitored is that of the fake claims that they make saying that Kratom can do several medicinal benefits which are not proved by any of the research. These medical claims should not be made unless and until there is research done on that particular topic. The only thing that we currently know is that they are claiming these things purely for marketing purposes so that it results in the high sales of Kratom. Without proper research, there is no proper use in simply shouting from the rooftops for no reason for the benefits of Kratom. All these claims are made in the various places of the internet like social media and websites. We all know that back in 2016 the main reason why the DEA banned Kratom is that of the information that was widespread on the internet. After people reading all this information, they came to know that these are fake claims. All of the sudden people were stunned on reading all the claims that were made by the sellers of Kratom and it resulted in the ban for a long period of the ban. Still, the ban is not lifted on certain places and all these are due to some of the vendors. They are the ones who wanted to make money out of people by selling fake information. After a while, the DEA changed their minds and came up with some solution for the vendors but eventually, the entire mistake was done from the vendor’s side to make a business out of it. When we can understand the benefits that the seller has looked for but, there are certain rules that must be followed in order to ensure that everything happens legally. These are some of the regulations that must be followed regardless of what business you do and everyone must consider this as a service rather than a business and this is how trust builds on the company or the market. If you come across any seller or vendor making claims, take the social media as a platform and ensure that people are into the right path. As a consumer of the product, we can claim our rights if something is not done in the right way. Education is one of the best things in the world where one can ensure that they are staying informed on a certain field and it also gives them an opportunity to raise their voice against the happenings if they are illegal. If the most common thing in the world is water and next comes the education that one must use it as a weapon. If you are interested in specific data, you can get the help of Google so that you can get alerts on specific subjects and that will ensure that you are informed on that particular topic. While everyone might have the job of browsing through the internet and looking for favorite topics. But, one can spend at least their evening time by spending it in a very useful way by reading at least some articles and get their brains to sharpen. Both information and education can give the much-needed power for a person and that can help the individual to ensure that the information that one has is entirely correct and can fight for himself. During the 8 factor test on Kratom which was done during the Kratom ban, it has been certainly proven that the uncontaminated Kratom is completely safe and can be consumed as safe as a coffee. 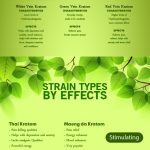 These are some of the valid tests that were made on the Kratom and also they are backed by several medicinal information. This particular test has that record and also it makes people understand that Kratom is not bad for their health. Make sure that you are well informed about the legal status of the ban which is imposed on the Kratom and also makes sure that the Kratom community is within your reach. This is one of the ways to actively engage in the social issues which Kratom follows. Peoples power is something which is very much required in order to ensure that the ban on Kratom is lifted in every part of the world. In the end, it is important to take the responsibility to support and fight against the Kratom ban if you are a Kratom user. You already know what Kratom can do for you, it is now the time to show the world that what Kratom can do for them.